Business and consumer surveys provide essential information for economic surveillance, short-term forecasting and economic research. Moreover, they are widely used to detect turning points in the economic cycle. Surveys are therefore a key complement to official statistics, which are often available after long delays. The survey data generated within the framework of the Joint Harmonised EU Programme of Business and Consumer Surveys are particularly useful for monitoring economic developments in Member States and candidate countries, at EU and euro-area level. High frequency, timeliness and continuous harmonisation are among their main qualities. The consumer confidence indicator is the arithmetic average of the balances (in percentage points) of the answers to the questions on the financial situation of households, the general economic situation, unemployment expectations and savings, all over the next 12 months. The Business Tendency Survey in construction is a qualitative survey that uses opinion-testing techniques. It collects qualitative, not quantitative (numerical) data from business managers on their assessment of the present situation of the main economic indicators in their business entities and their expectations for the directions of movements of those indicators in immediate future. The main purpose of the Business Tendency Survey in Manufacturing industry is to obtain quick information on the current situation and expectations about further movements of the main economic indicators in enterprises, divisions of the National Classifications of Activities and Manufacturing industry as a whole. This data can be used for the short-term business decisions in the business entities as well as for the creating of the short-term economic policy of the country. 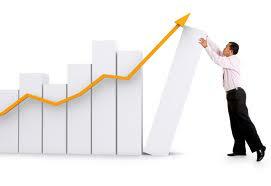 The statistical series derived from business survey are very suitable for business cycle monitoring and forecasting. Business Tendency Survey in Manufacturing industry is qualitative survey that uses opinion-testing techniques. It collects qualitative, not quantitative (numerical) data from business managers on their assessment of the current situation of the main economic indicators in their business entities and their expectations for the directions of movements of those indicators in the near future.